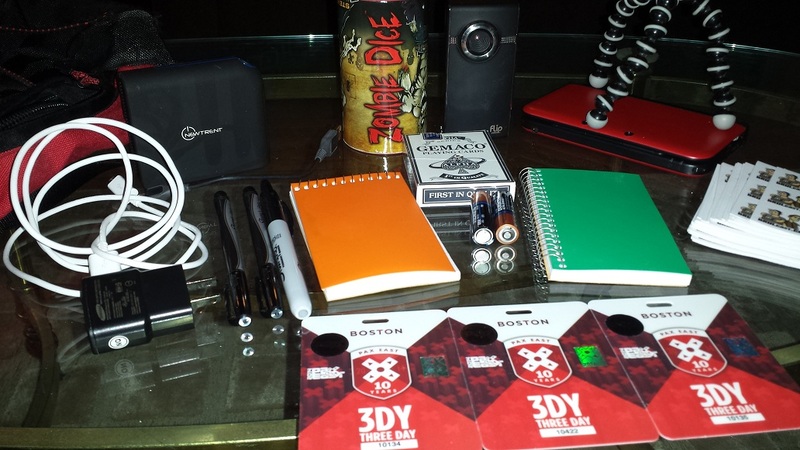 Here is a sneak peak at my bag for this years PAX East adventures! First of I’d like to make it known that I’m going not only to have fun with my friends, but also to gather content for this very site. Can I cover everything? No, will I cover as much as possible? You better believe it! Granted the items I’ll bring with me aren’t ‘top of the line’ the point is to capture what I can, while not sacrificing bag space for the freebies. Everything in my bag is compact, not heavy, and fits in my bag well. I don’t fear any of it getting damaged, which would be a different story if I take with me a high end DSLR camera or anything like that. A few things not shown here would be a Water Bottle, Candy, and most importantly my Phone which will have many uses this year! 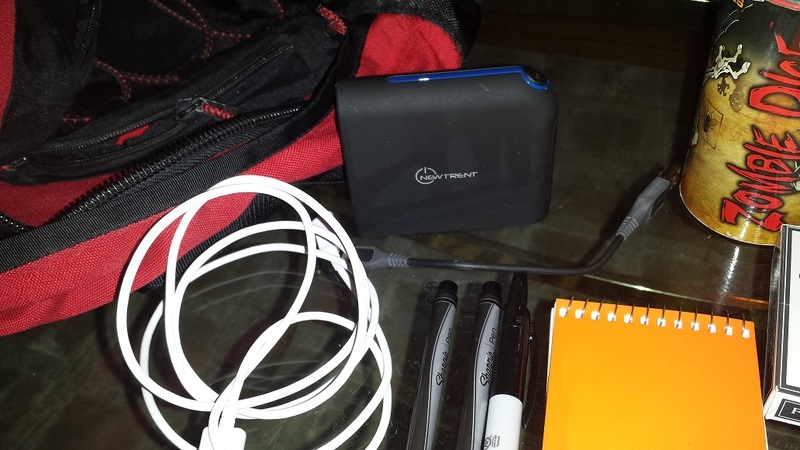 Replacing my point and shoot with my phone, and praying I have enough juice via the external charger. As I mentioned in my Surviving PAX East post, hand sanitizer is very important! Use it often! I’ll probably end up getting another bottle. Pens, Sharpie, and Notepads, as you notice, no laptop! 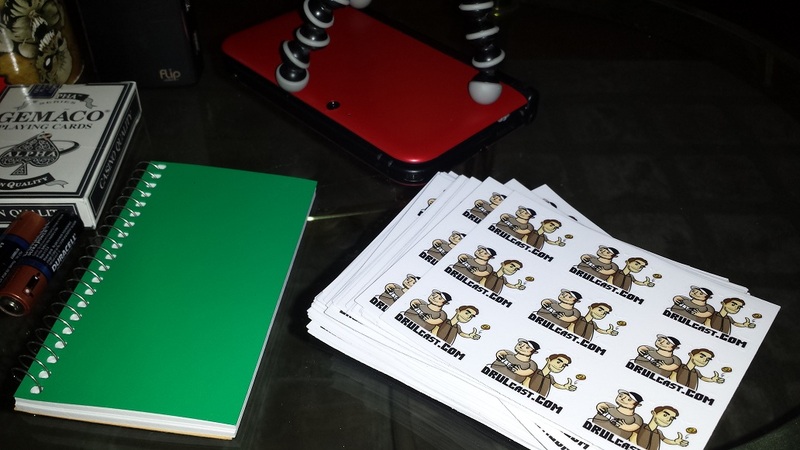 Going old school, taking notes from panels, and more importantly, keeping score during those Zombie Dice games, damn cheaters… The sharpie is mostly for autographs, you’ll never know who you will need to sign your badge! 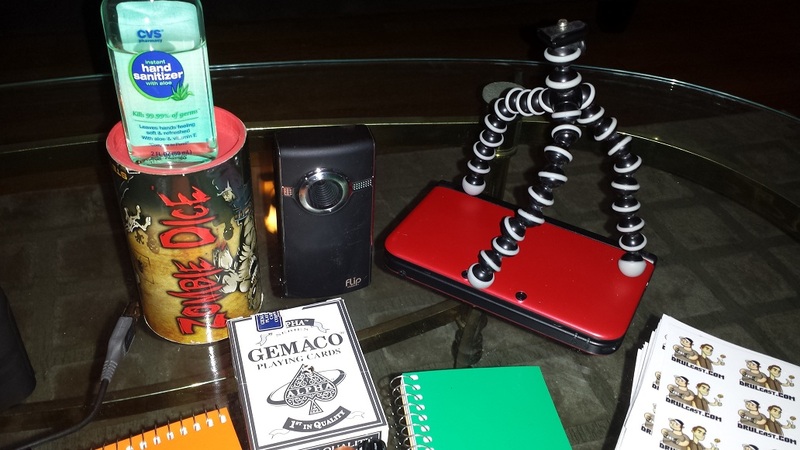 The Battery charger is mostly for my phone, but could be used for the Flip camera as well. The good thing about the IMP99D model is that it has 2 USB slots which allows me to charge two things at once! This means that 2x Micro USB are needed as can never be too sure of a failure! The advantage of the Flip is the option of using Batteries, needed for backup just in case.